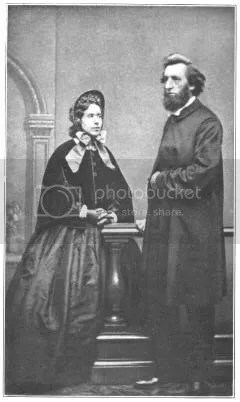 Twenty-three year old Catherine Mumford was attracted to the new young minister of her church, Pastor William Booth; and he was attracted to her. But Catherine was not so sure it would be a good match. It was obvious to her from the young preacher’s sermons that he was not as well educated as she was, nor did he know his Bible as well as she did. She had been sick often in her childhood and youth, and so she had spent almost all her life reading. It was said that she read the Bible from cover to cover eight times before she was twelve years old. Catherine was therefore bound to be more educated than most people, and she knew she must not let that stand in the way of getting a husband, or she would never find one. So she did agree to the young minister’s invitations to spend time together, and before long he asked her to marry him. She said she wasn’t sure yet if it was God’s will, but she agreed to put it to a test. Catherine suggested using a method that the great John Wesley sometimes used (a method few would recommend). They would set a Bible on a table on its spine and let it fall open; and then be guided by the first passage they would see. They did that and the Bible fell open to Ezekiel 37, a chapter best known for its description of Ezekiel’s vision of the Valley of the Dry Bones. At first it looked like the passage would not apply to the question of their marriage, but then their eyes were drawn to these words of the Lord in verse 19: “The two shall be as one in my hand.” Though their method was an unreliable one, they believed that it was indeed God’s Word for them, and in 1855 they were married. They worked as a team in their ministry, with Catherine even beginning to do some of the preaching. They later moved to London, and there started to work among the poor. Her preaching and their unorthodox style of working with the poor of the city led to too many disagreements with the Methodist church headquarters. They were soon forced to go out on their own. Catherine’s intelligence and William’s energy made them a good team, and soon their work was expanding. Others joined them, and before long they had several churches and their own new denomination. They began to call themselves the Salvation Army, and in a few decades their work expanded to all around the world. Today yet they are among the most efficient and effective relief and service organizations anywhere. And they became a team after their Bible just happen to fall open to a single verse through which God spoke to them. God can sometimes use even our most questionable methods. William at Catherine’s (1829-1890) side as she was dying in 1890. 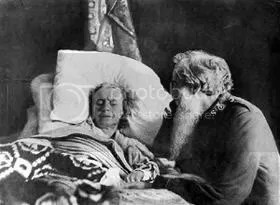 He lived another 22 years (1829-1912). –Peter Drucker, Management expert and author, as quoted in Forbes Magazine. Psalm 37:23 — The Lord makes firm the steps of the one who delights in him.